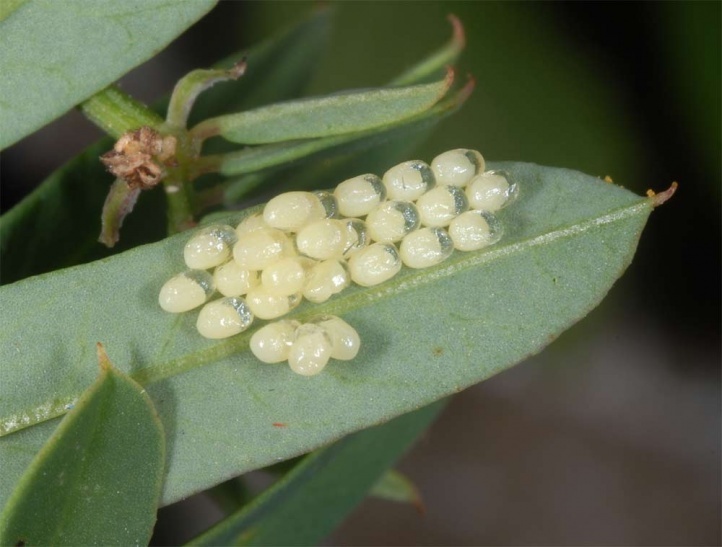 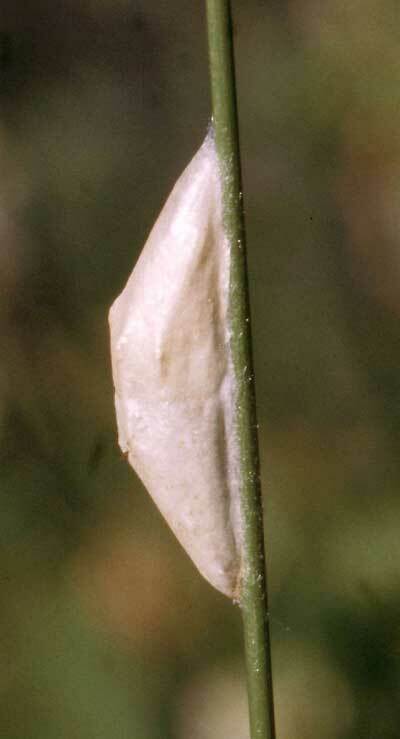 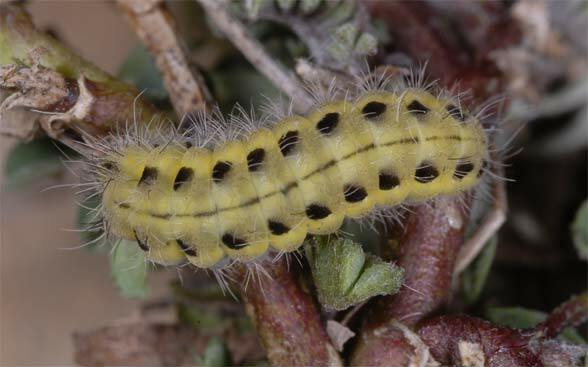 The caterpillars live almost exclusively on Coronilla varia. 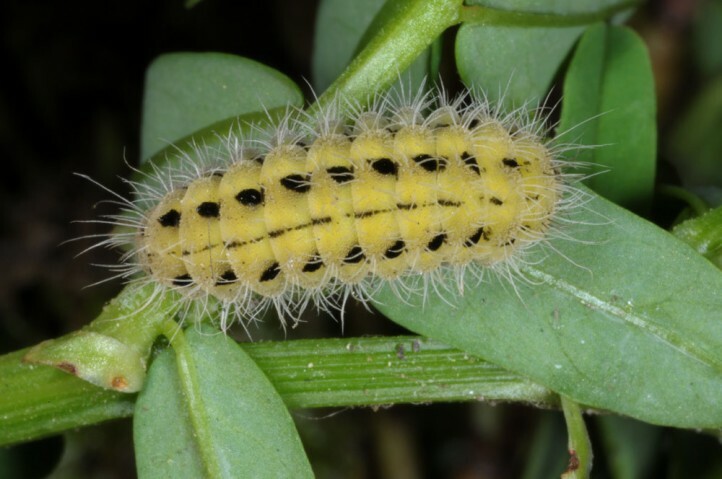 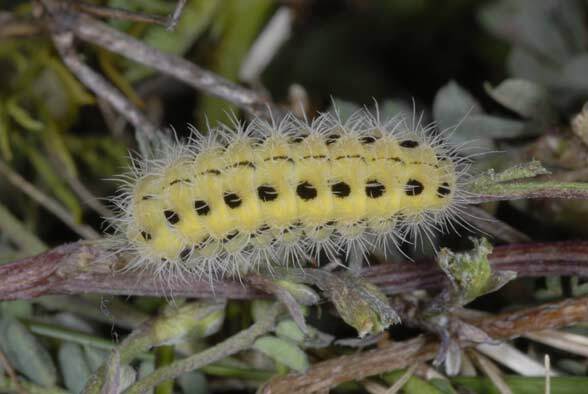 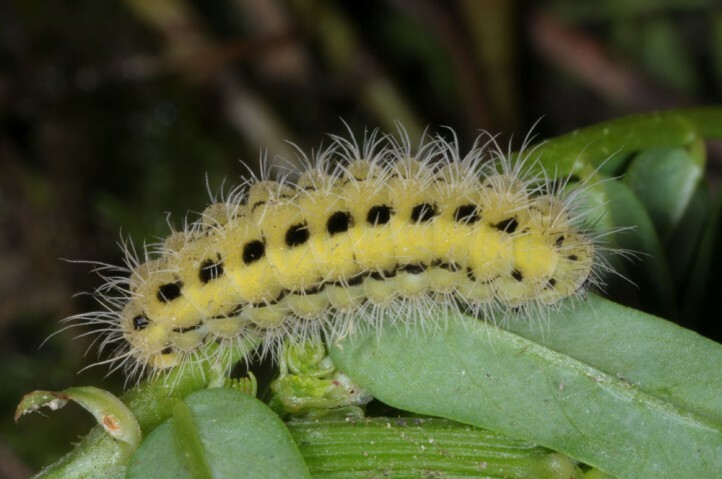 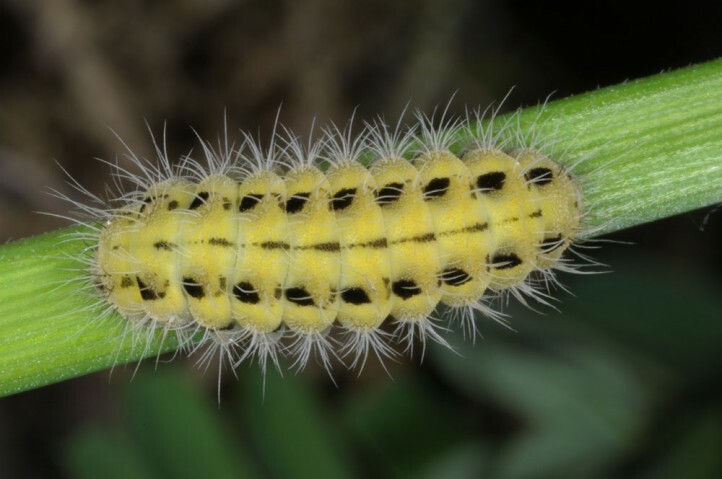 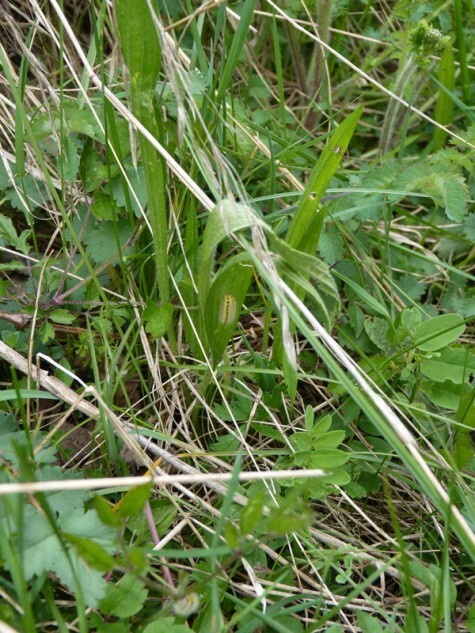 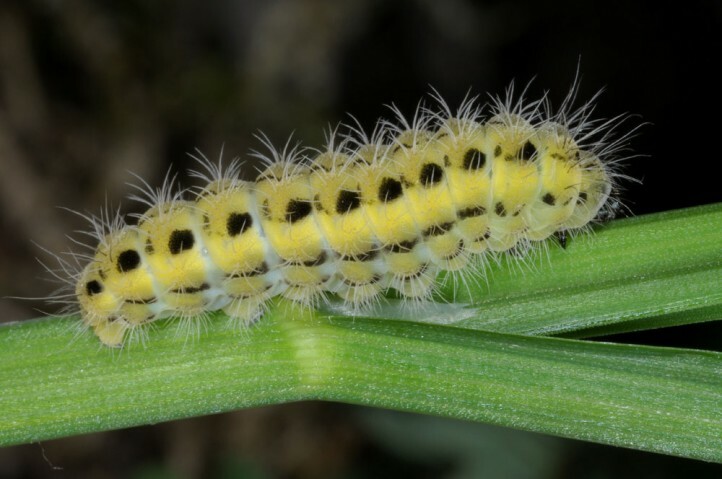 In rearing Greek caterpillars easily accepted also Hippocrepis comosa. 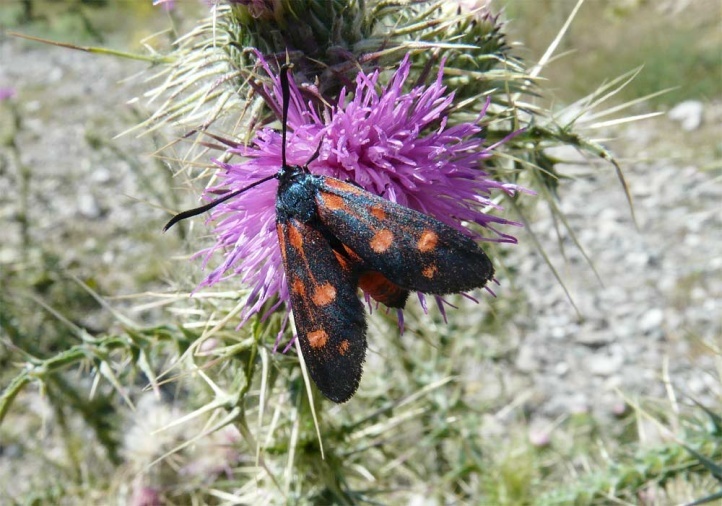 Zygaena ephialtes colonizes in general habitats similar to the Geranion sanguinei: higher growing, dry and warm edges in nutrient-poor grasslands or steppe-like, bushy slopes with the larval host plant. 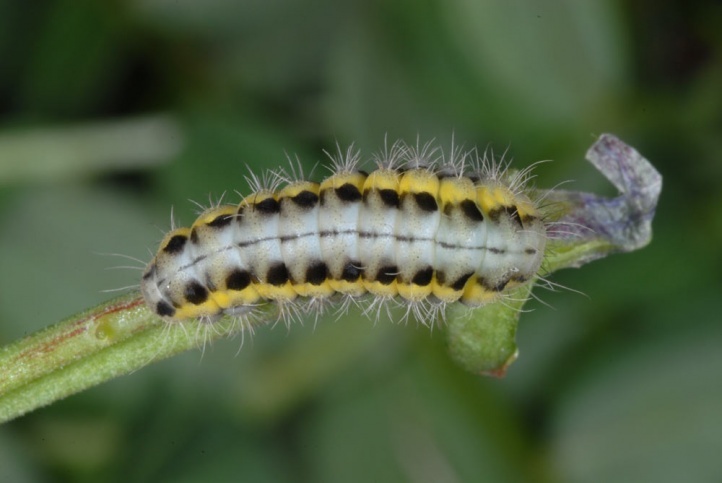 Other habitats include abandoned vineyards, ruderal terrain, railway embankments, forest edges, broad and dry field or roadsides verges. 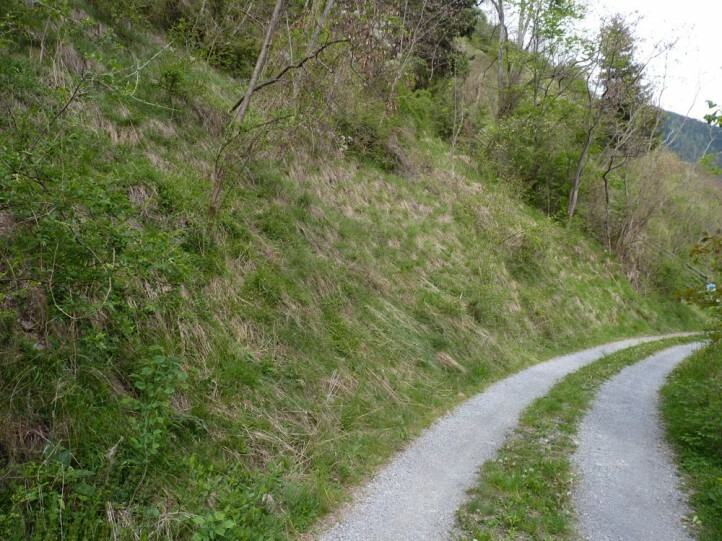 The latter habitats are nowadays only in rare cases still suitable due to frequent mowing, integration into adjacent agricultural areas and intense planting of trees. 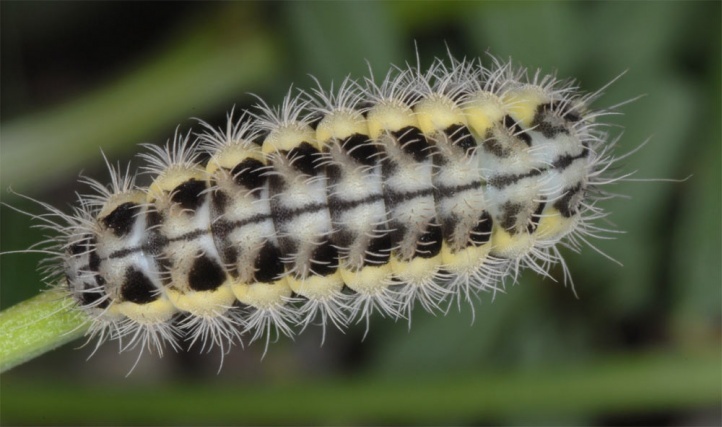 The caterpillar is mature in June. 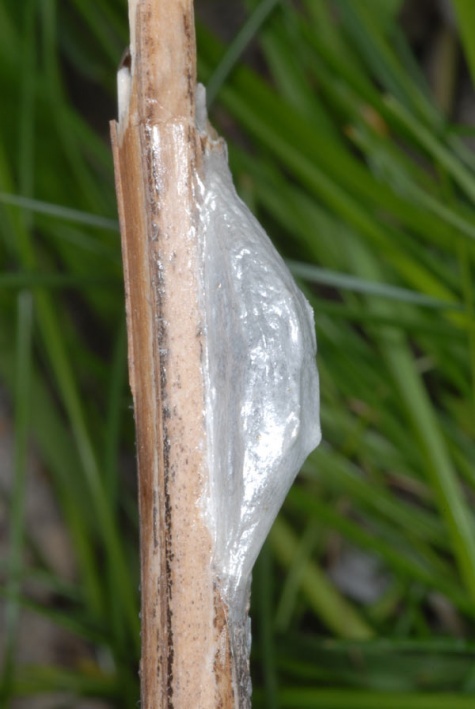 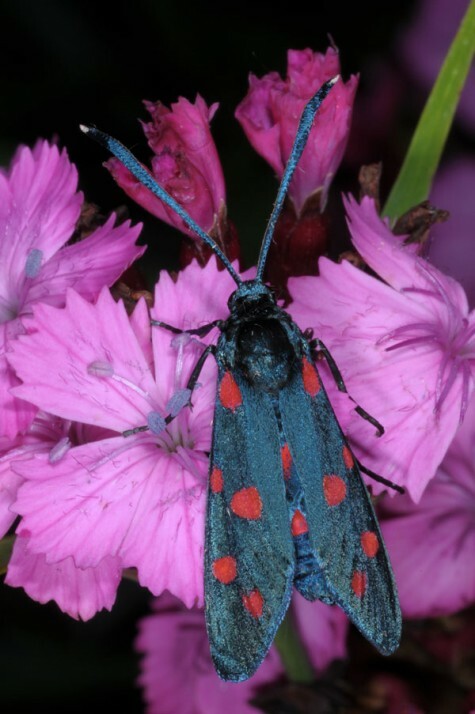 The moths fly between late June and August with peak in the second half of July. 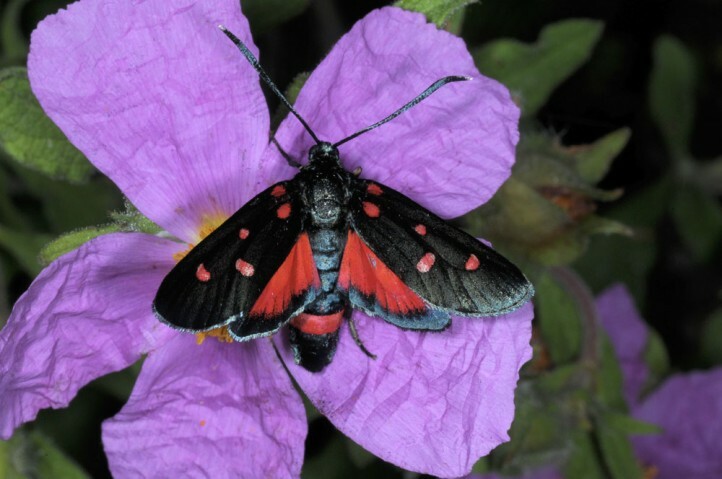 North of the Alps they are found mostly singly or in low numbers. 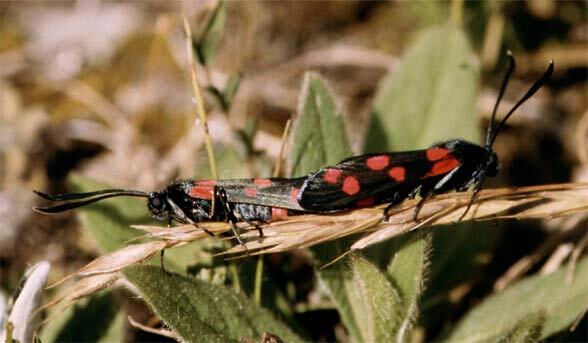 In Greece (e.g. 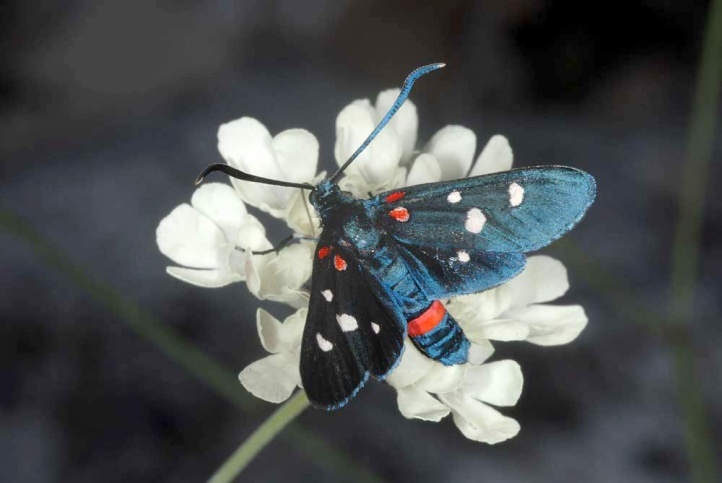 on Mount Olympus between 500 and 2100m above sea level) they can occur in high abundances. 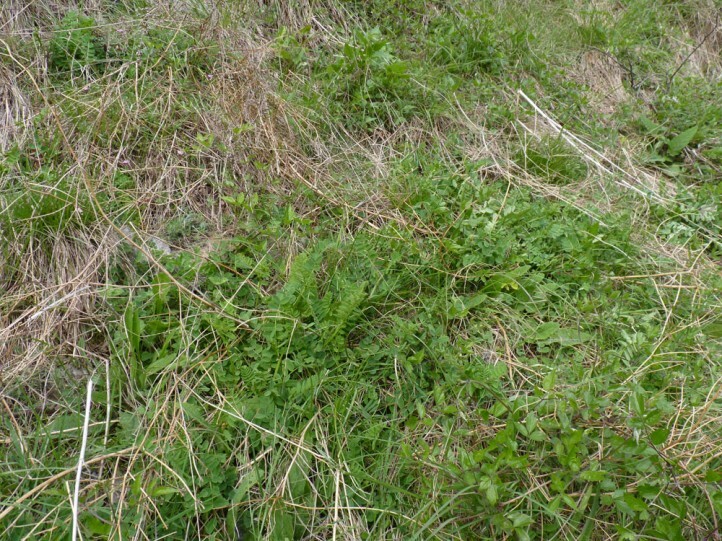 Partial there is a significant risk of overgrowth (succession), housing development (grasslands, ruderal terrain), intensification (agriculture) and improper maintenance of grasslands (grazing pens). 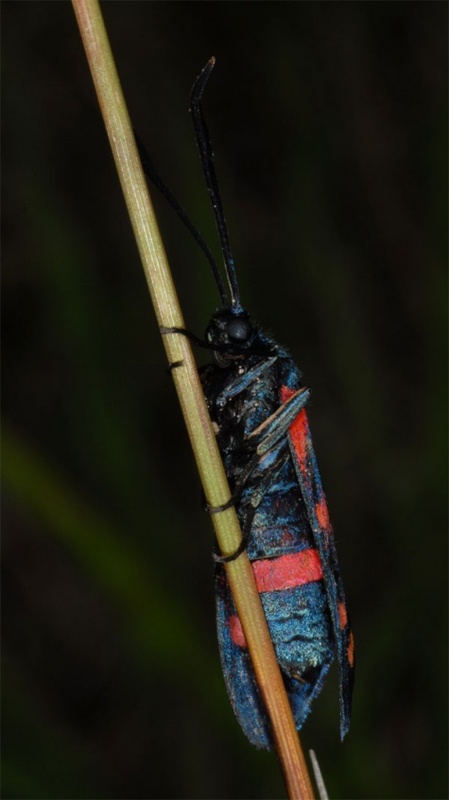 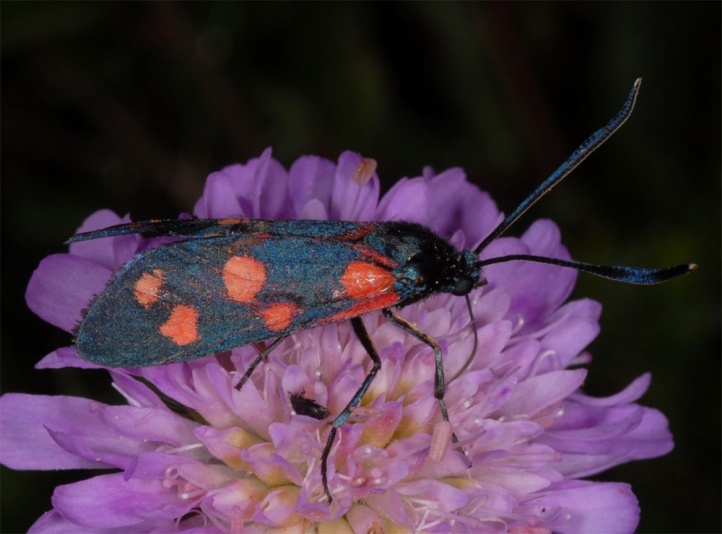 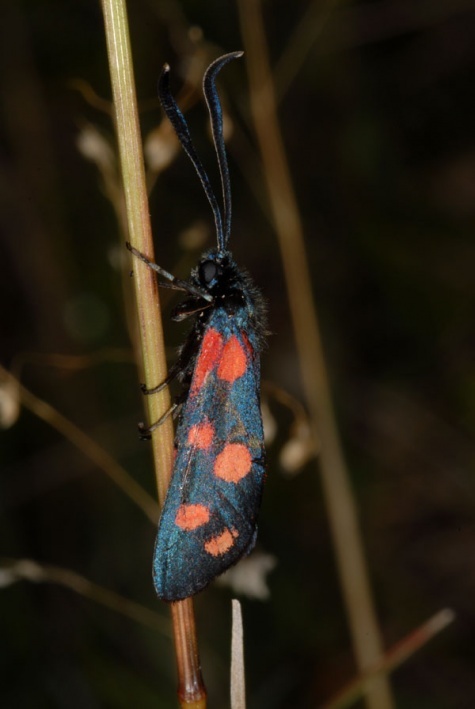 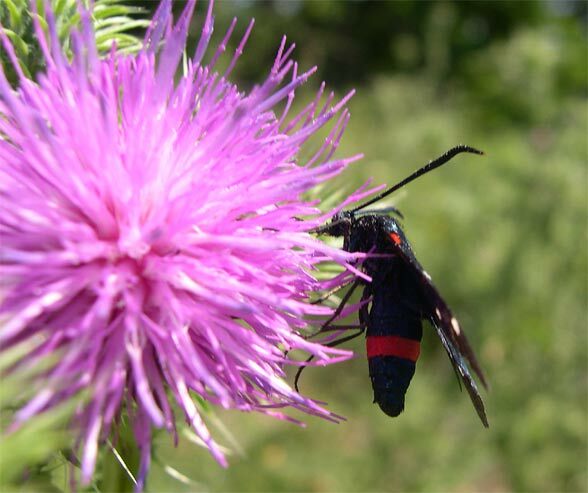 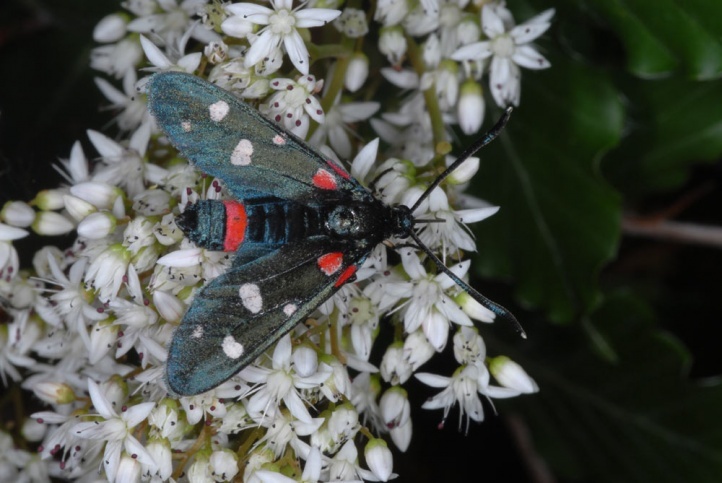 Zygaena ephialtes is famous by its phenotypic variability from red over yellow to white. 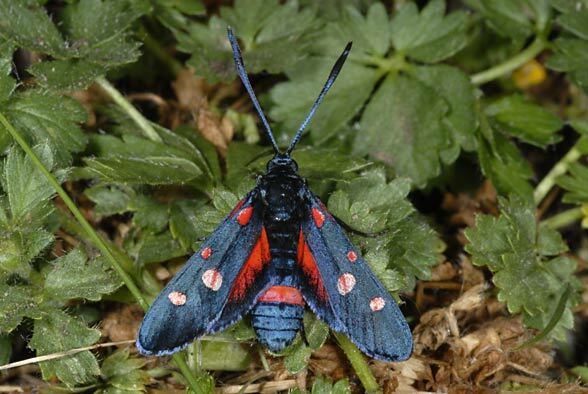 But in Central Europe almost only red spotted individuals occur. 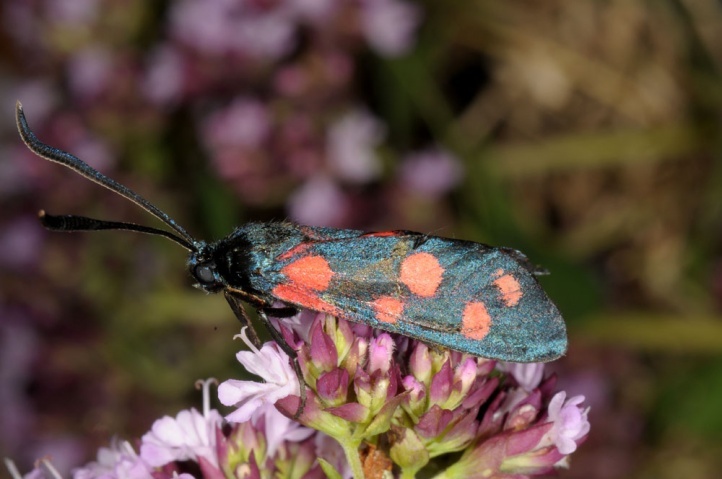 The distribution ranges from Spain (extremely rare and local) to the Urals and to Anatolia. 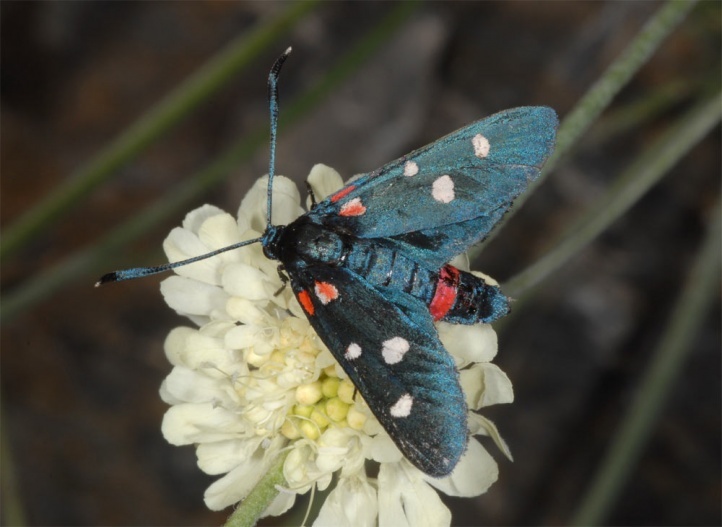 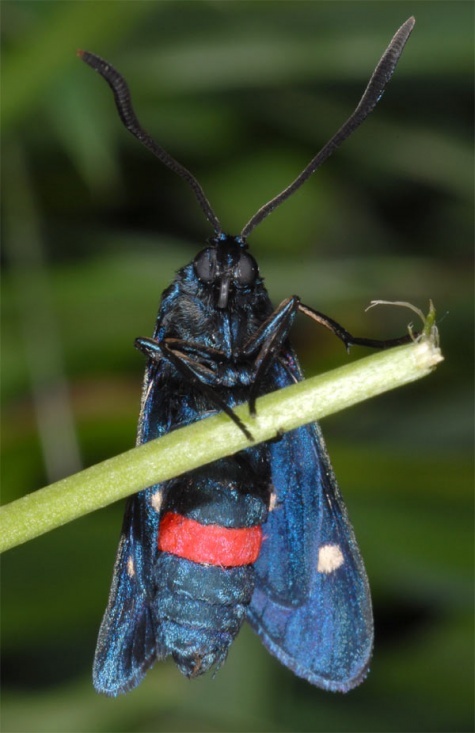 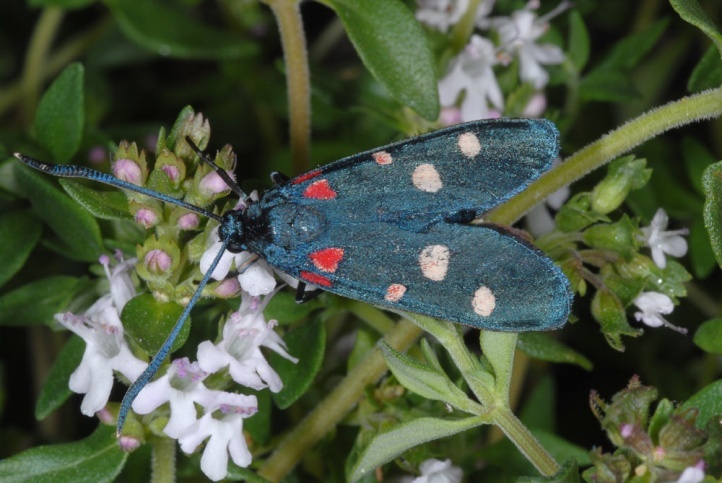 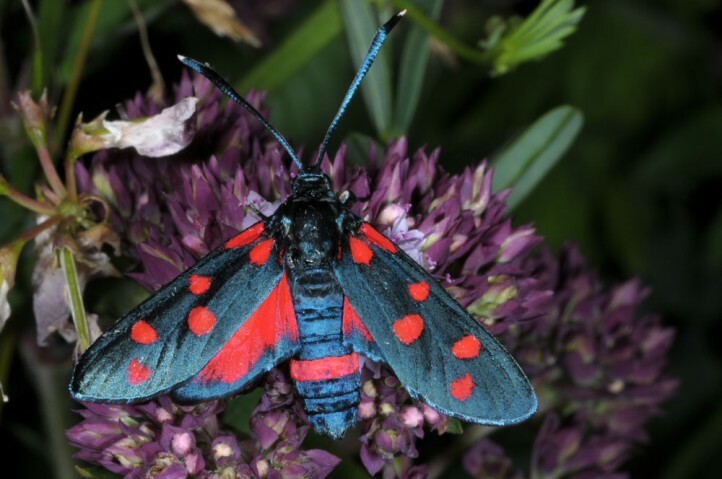 Zygaena ephialtes misses in Northern Europe and is most common in Southeastern Europe, where some more species that are bound to Coronilla varia reach their maximum in abundance, such as Polyommatus daphnis.